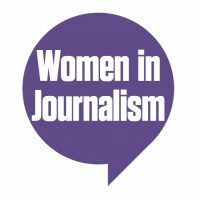 Women in Journalism recently awarded its 4th annual journalism Georgina Henry Award for Digital Innovation. It was presented at the prestigious National Press Awards sponsored by WIGGIN LLP on March 13 at the London Hilton. Judges were looking for a flair for storytelling as well as evidence of innovation and/or impact. They also requited the winner to demonstrate an identifiable voice and understanding for a specific subject. The award, which totalled £4,000 of prize funding, was set up to honour Georgina Henry, who was a founding member of Women in Journalism as well as former deputy editor of the Guardian and head of Guardian.co.uk before her tragic death in February 2014. You can find out more about our 2018 winner, Jem Collins of Journo Resources, here (link to our 2018 winner) page. Jem Collins – Journo Resources is the winner of the Georgina Henry Award for Digital Innovation 2018. Journo Resources aims to widen access to the journalistic profession and recruit more working class and diverse people into the industry, an ambition which has never been more necessary. More information on Jem and Journo Resources will be coming soon. The award is sponsored by leading media lawyers WIGGIN LLP. Sue Ryan, former managing editor of the Daily Telegraph and a board member of the Society of Editors.